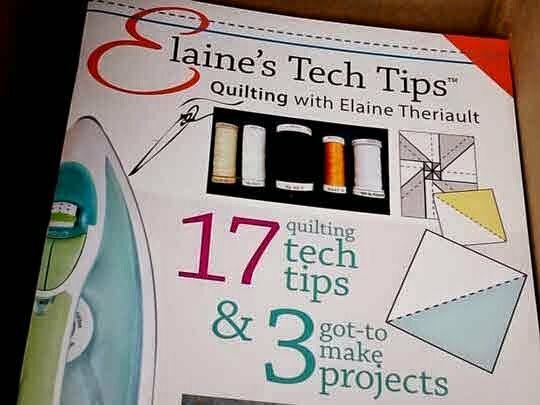 Home » QUILTsocial » Elaine’s Tech Tips: Crazy Quilter on a Bike! Elaine’s Tech Tips: Crazy Quilter on a Bike! I wrote a series of Tech Tips that appeared in A Needle Pulling Thread magazine from Spring 2010 until Fall 2014. These articles were chock full of information about rotary cutting, quarter inch seam allowance, pressing and a whole lot more. To be truthful – those Tech Tips originated back in 2002 when I did a Block of the Month for the Mississauga Guild. I felt that providing a block pattern each month wasn’t enough (yep – call me crazy) so I created a series of handouts that became the base for these Tech Tips. The ones in the book have pictures and of course as I learned stuff – I updated them. Construction up in Tiny Town! – Crazy Quilter on a Bike! The CreativFestival: Crazy Quilter on a Bike!